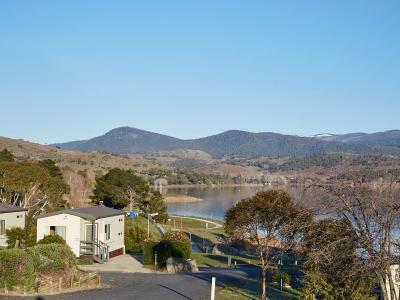 Lock in a great price for NRMA Jindabyne Holiday Park – rated 8.6 by recent guests! I like the location, a beatiful view of the lake and near by everything, supermarket, rent sky equipment's and clothing. It is the closest property to the lake. Rooms and bed are quite decent for the price. Facilities in the kosi cabin were very useful. Mattress was firm, which I need due to lower back pain at times. Great location. Right next to the beautiful lake, shops cross the road. We received Christmas present upon arrival which was so nice. 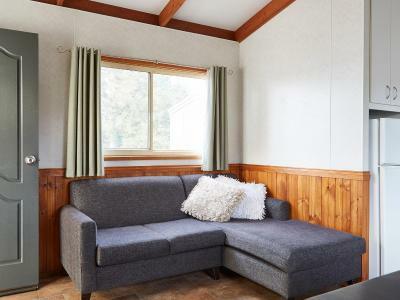 Cabin was superbly located with lake views and plenty of room for the boat trailer and two cars. Great location for exploring the Snowy Mountains. 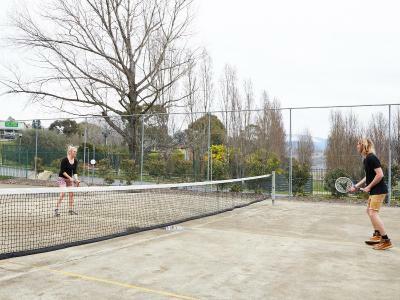 Park has great facilities and is really clean and well maintained. Staff friendly and helpful. Beautiful location, staff friendly. Amenities & park very clean. Well organised. Location and price, we stayed in a small cabin with no bathroom, but it was perfect for our needs. 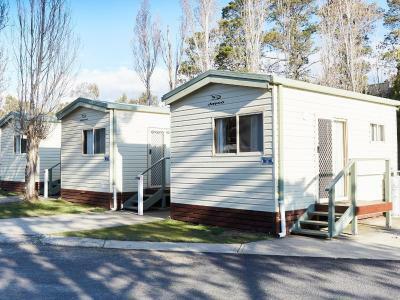 Offering accommodations at foot of the New South Wales Snowy Region, Jindabyne Holiday Park offers budget villas and cabins. The property is located in the center of town, 350 feet from the main shopping complex. 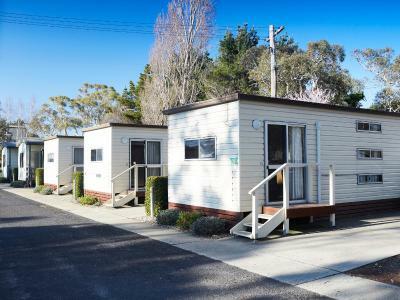 Jindabyne Holiday Park provides guests with self-contained accommodations. 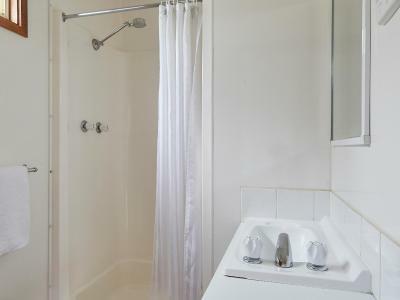 Linen and towels are provided, and all villas and cabins offer private bathrooms and kitchenettes. 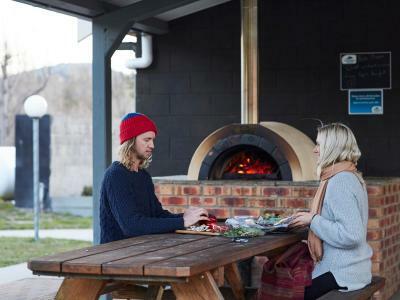 Perisher and Thredbo ski villages are located a 30-minute drive from the property. 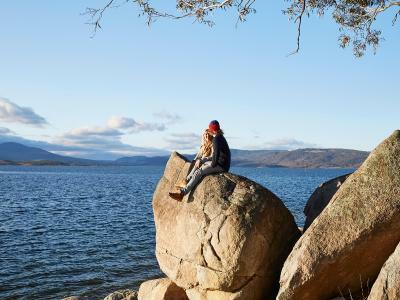 This is our guests' favorite part of Jindabyne, according to independent reviews. This property also has one of the top-rated locations in Jindabyne! Guests are happier about it compared to other properties in the area. 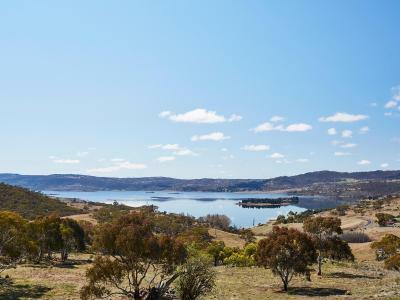 This property is also rated for the best value in Jindabyne! Guests are getting more for their money when compared to other properties in this city. 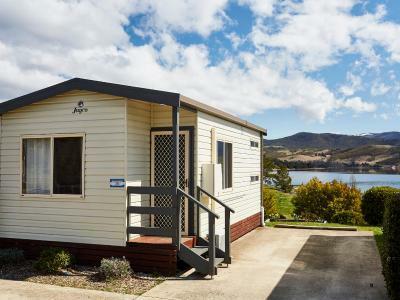 뀐 Located in the top-rated area in Jindabyne, this property has an excellent location score of 9.5! 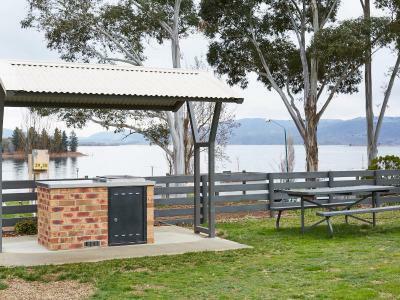 When would you like to stay at NRMA Jindabyne Holiday Park? 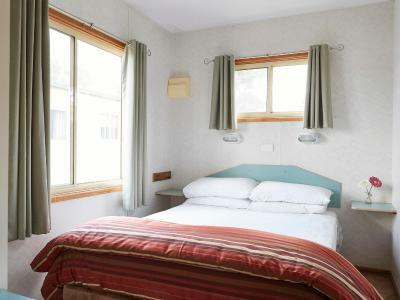 This Villa overlooks the lake and mountains and includes 2 bedrooms with a double bed and 2 single bunk beds. 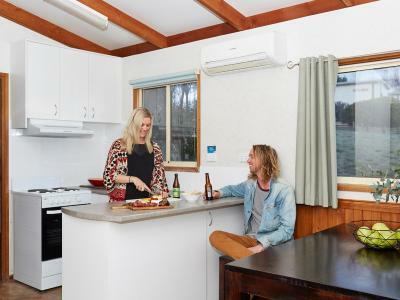 Also featured is air-conditioning, a full kitchen including fridge, oven, stove top and microwave and a private bathroom. Guests can enjoy the dining and lounge area with TV and DVD player and the private veranda with an outdoor dining area. This accessible villa has ramp access and an accessible kitchen and bathroom. 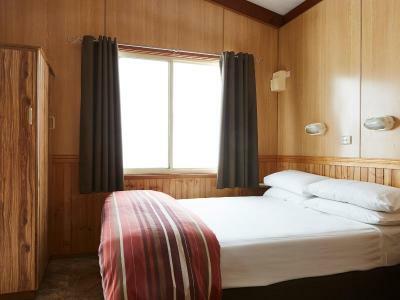 It is located overlooking the lake and mountains and includes 2 bedrooms with a double bed and 2 single bunk beds. 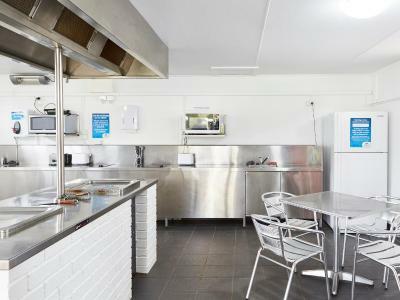 Also featured is air-conditioning, a full kitchen including bar fridge, oven, stove top and microwave and a wheelchair accessible bench. 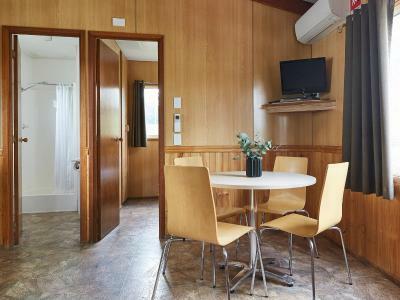 There is a dining and lounge area with a TV and DVD player. 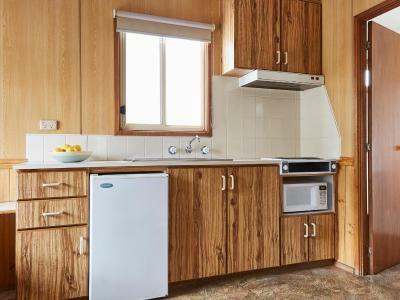 This refurbished cabin includes a modern kitchen and furnishings. 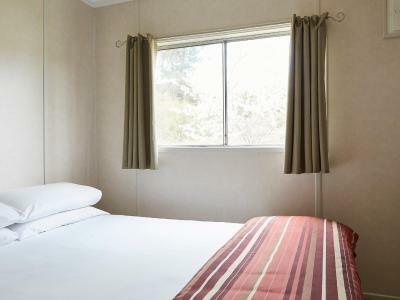 It features 1 bedroom with a double bed and single bunk bed. 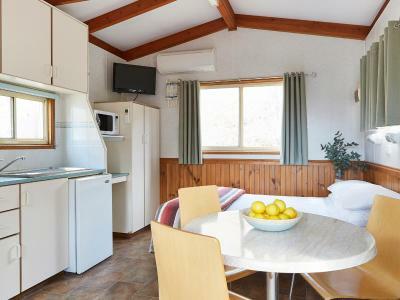 Also featured is air-conditioning, a kitchenette including bar fridge, stove top and microwave and a private bathroom. There is a dining and lounge area with a TV. 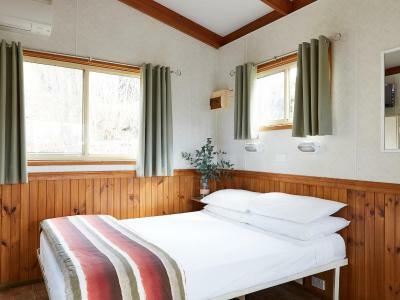 Located in an elevated area of the park, this cabin includes 1 bedroom with a double bed and a single bunk bed. 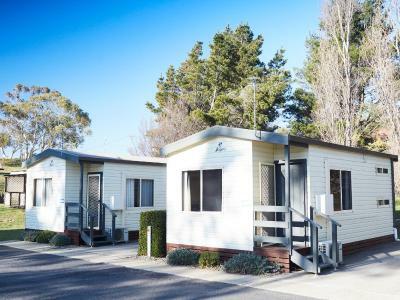 Also featured is air-conditioning, a kitchenette including bar fridge, stove top and microwave and a private bathroom. There is a dining and lounge area with a TV. 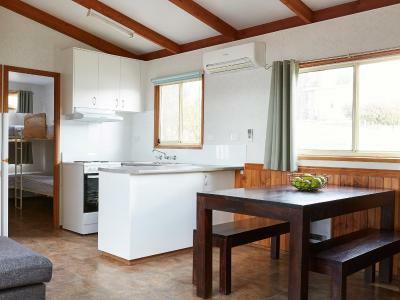 Overlooking the lake and mountains, this cabin features a refurbished kitchen. 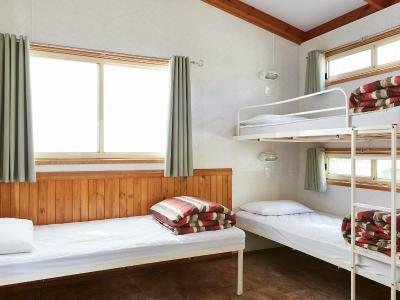 It includes 1 bedroom with a double bed and a double over single bunk bed. 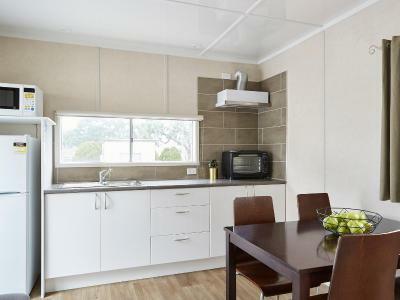 Also featured is air-conditioning, a full kitchen including fridge, stove top and microwave and a private bathroom. There is also a dining setting, TV and DVD player. 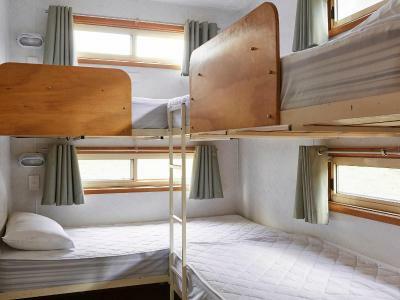 This Studio is open-plan and includes a double bed and single bunk bed. 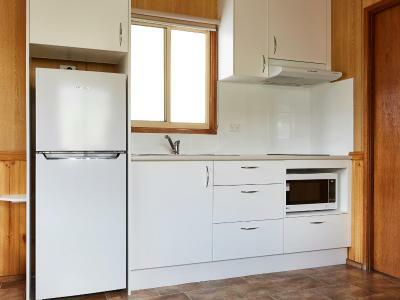 Also featured is air-conditioning and a kitchenette including bar fridge, stove top and microwave. There is also a dining area and TV. 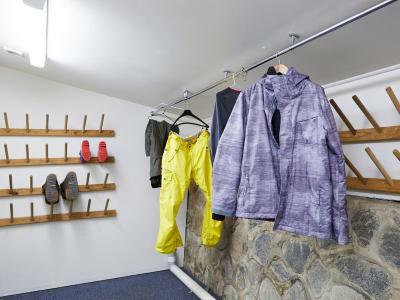 This room offers a separate bathroom and access to shared facilities. 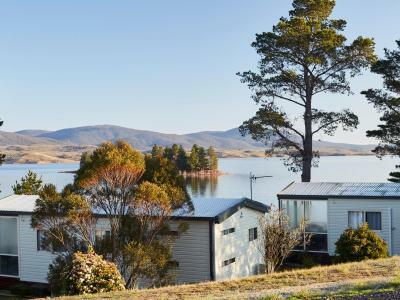 House Rules NRMA Jindabyne Holiday Park takes special requests – add in the next step! 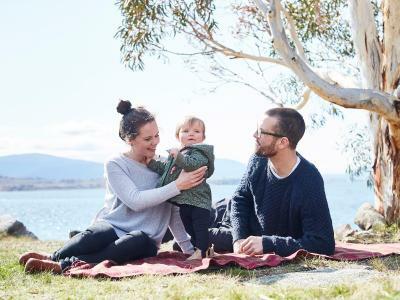 NRMA Jindabyne Holiday Park accepts these cards and reserves the right to temporarily hold an amount prior to arrival. Cabin smelt like old food, Not enough soap, a bit pricey for an Older cabin. Size of cabin. Shower water pressure low. The cabin was showing signs of wear and tear - especially the flooring in the living area and the bathroom. Our cabin was fairly small, which meant that there wasn't much space around the double bed. 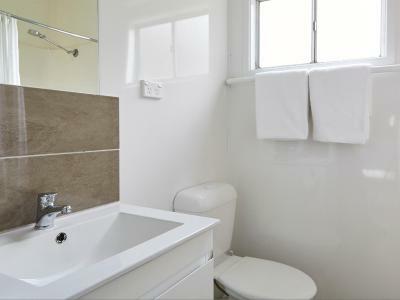 The bathroom was quite cramped with a half size basin and nowhere to put your toiletry bag. Our friends commented that the vans in the camping area were quite close together and they wouldn't have gone there with their van. 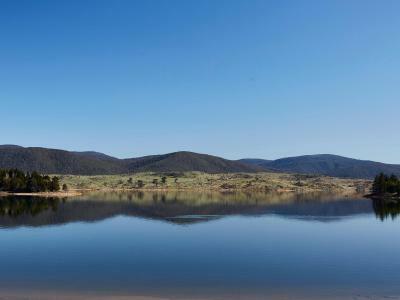 Beautiful location on the shore of Lake Jindabyne. A shopping complex was just over the road and although it was a busy road it was great to have it so close. 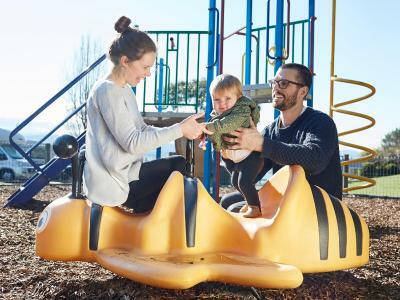 We didn't use any of the parks facilities, but there did seem to be plenty available. The View, close to town, clean and good staff. Lots of trees, a plum tree in fruit behind us.... What's not to like? not having a bathroom nearer the cabin ..i didnt like the attitude of the cleaner of the bathrooms . i didnt like glass being on the shorelines. spent my time removing it. killed the peace a little. I loved the fresh air. i wish the whole worlds air was same quality..The beds comfortable. cabins clean and have all the bits an pieces ..required. the managers where lovely friendly and providing ..It had a bath in the emenities which i loved.. clean and smick..Bathrooms smelt nice. Cramped and out dated. Considering it is a premier accommodation it was disappointing. Location was great, if staying for one night ok. We found it not suitable for multiple night stay.